Nature’s most efficient means of cooling is through the evaporation of water. A simple example is the cooling you feel when stepping out of a swimming pool – the water evaporates quickly from your body, taking heat with it. Our coolers do essentially the same thing by drawing hot air through wet pads using a fan or blower. As water evaporates from the pads, it takes heat from the air with it, resulting in up to 30 degree cooler air being discharged from the cooler. An evaporative cooler will nearly always deliver air cooler than 80 degrees F. The chart below shows that an evaporative cooler will deliver 78 degree air under a wide variety of typical summertime climate conditions. In addition, the constant air movement created by an evaporative cooler lowers the termperature perceived by room occupants – called the “effective temperature” – by an additional 4 to 6 degrees below the “evaporative cooled termperatures” shown in the chart. Finally, an evaporative cooler works best in the hottest time of the day. This is because relative humidity drops quickly as temperature increases. For example, a morning relative humidity of 60 percent at 75 degrees will drop to only 31 percent when the afternoon temperature reaches 95 degrees. An evaporative cooler consumes only one-fourth of the electrical energy required to operate a refrigerated air conditioning unit. 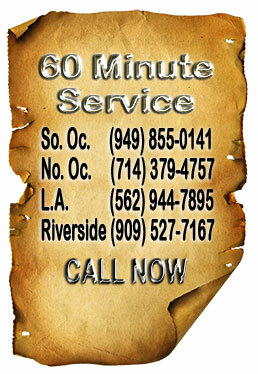 This means you can save up to 75% of your cooling costs on your electric bill! Thank you for a top notch group from start to finish. How refreshing it was in a cynical world of distrust. They showed up on time and completed the work as promised to my satisfaction. …did a great job on our electric work. The guys were prompt, friendly and professional. Champion Coolers and Essicks Coolers are the same. 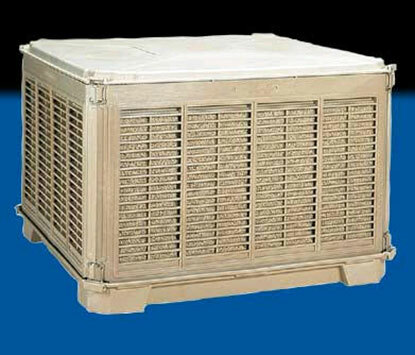 Tradewinds Coolers are the evaporative coolers that we usually install on mobile homes.